If you own a house in the Los Angeles area, there’s a pretty good chance that you’re looking out for ways to make your house look more attractive, inside and out. 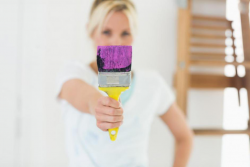 As a homeowner, you’ll probably want your house to be a true reflection of your personality as well as looking great with the latest..
Why is Workers’ Compensation Insurance Important When Choosing a Painter? When hiring a painter to work on your home, you need to take an array of factors into consideration. One of the most important things on your checklist should always be whether the painter in question has Workers’ Compensation Insurance or not. What is Workers’ Compensation Insurance? Workers’ compensation is a mandatory insurance system that..